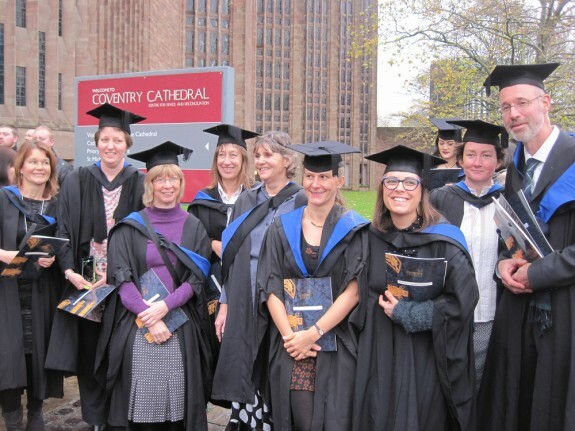 Coventry Alumni Story: Is It Time For a New Career? My name is Clare Farley. November 2016 was a moment for reflection for me. The occasion was my graduation from Coventry University with a Professional Development Diploma in Social and Therapeutic Horticulture (STH), along with most of my course mates. Amidst the splendid setting of Coventry Cathedral, our attention was drawn to the history of the building and its re-building after bombing during WW2, and how it was a new beginning for all of us graduating that day. Two years earlier in November 2014, I’d started my search for a new career and soon decided on the STH course, after attending a taster day at the University. I’d chanced to meet an ex-student of the course at a local STH project who had encouraged me along the route and my expectations of the course were well met. Social and Therapeutic Horticulture (STH) uses gardening and gardens to improve the physical and mental health of people who have an illness, disability, or are disadvantaged or vulnerable in some way. Gardening is very flexible and offers many different activities. 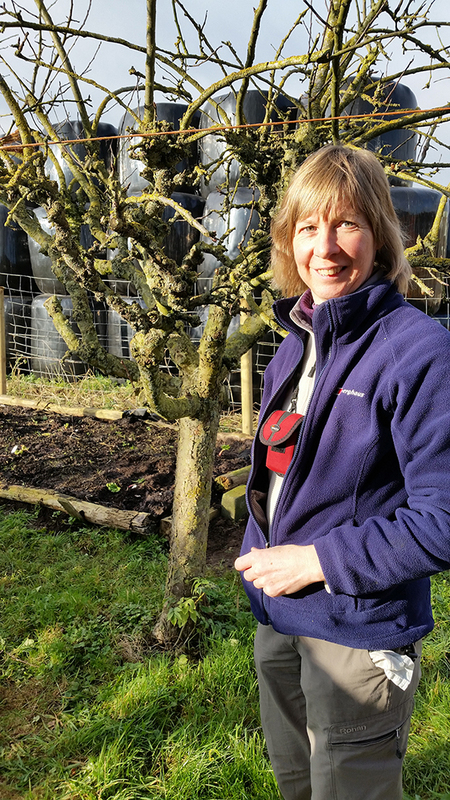 The Social and Therapeutic Horticulture Diploma prepares an STH practitioner to work with a group of clients and plan and carry out activities which meet each client’s needs. In a group, people make friends and feel connected. Gardening gives clients plenty of exercise. Growing food helps people eat more healthily. Getting close to nature helps improve mental health. It’s a one-year course (Sept-May), part-time – three days a week felt like it would be manageable – along with the requirement to be working or volunteering in an STH-related project. In the end, I volunteered two days a week, a day each at two different projects which gave me a lot of useful experience with many different client groups. 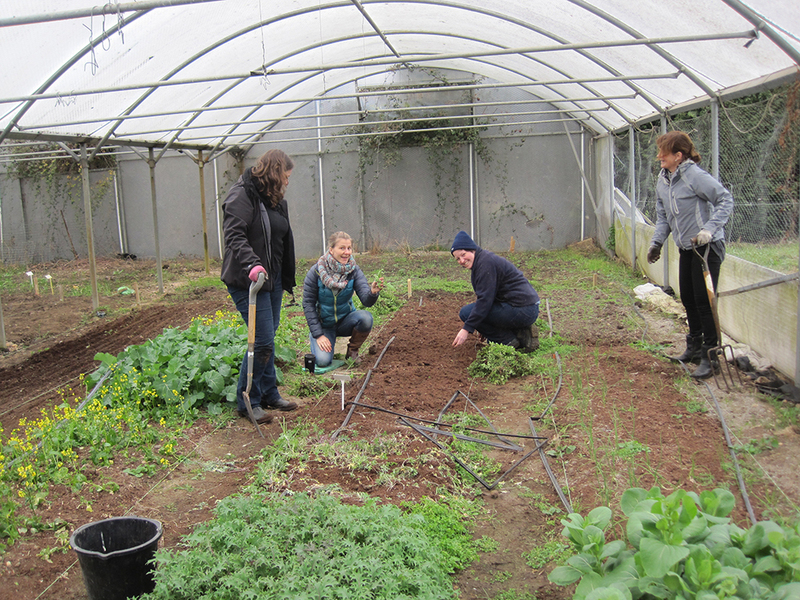 The other students came from a great mix of backgrounds: occupational therapy, nursing, teaching, gardening, landscape design, some already involved in therapeutic gardening and some with only a little gardening experience. But we had plenty in common. Teaching takes place in about nine one-week blocks, with the first term being the most intense with five blocks in the first thirteen weeks. These blocks of teaching are run either at Coventry University, or Pershore College of Horticulture, or at the charity, ‘Thrive’, near Reading. You need to organise your own accommodation. The rest of the study is effectively ‘distance-learning’. The tutors in all three locations organised inspirational speakers and visits to local projects to complement the classroom teaching. This really helped us see STH in practice and showcase the huge variety of projects out there. All of the tutors were enthusiastic and knowledgeable about their subjects, and also approachable and willing to help with questions and advice. The course consists of five modules and assessment on the course is by module assignments, all of which are very practical and relate very well to what you might end up doing in a job. This makes them useful resources for working later on. Two of them are group assignments – which we all found challenging as we were working remotely from each other by computer. File-sharing across the internet turned out a big challenge. To keep life interesting, each assignment had a different format, including a business-style pitch and a more academic-style piece of writing. The final feasibility study brings together all the different threads into one big piece of work. Throughout the teaching and assignments, experience of working or volunteering provides opportunities for reflection and application of learning. The course has stood me in good stead for my new job in therapeutic gardening, but it is just the start of the learning journey. There is plenty still to learn as you start work in a project. One of the great things to come from the course is the continued contact with the other students, swapping ideas and experience, and visiting projects they or visiting speakers work at. Coventry University also recently brought together alumni from past years for an STH alumni conference with speaker presentations. ‘Thrive’ also support STH practitioners through Thrive membership e-newsletter Growth Point and an annual Continuing Professional Development and Networking Day. The course was a lot of hard work, with plenty of fun and enjoyment to be had too. The way the course runs makes it feel manageable and with three organisations involved, I feel I received a rounded training and made good connections to get me started in the STH world. If you’re looking to start a new career, or expand your knowledge, head over to our website to look through our many and varied courses! Guest Blogs, How're you feeling?, Inspired, Join Us, Mature Students, Real stories, Student Wins, Why Cov Uni?